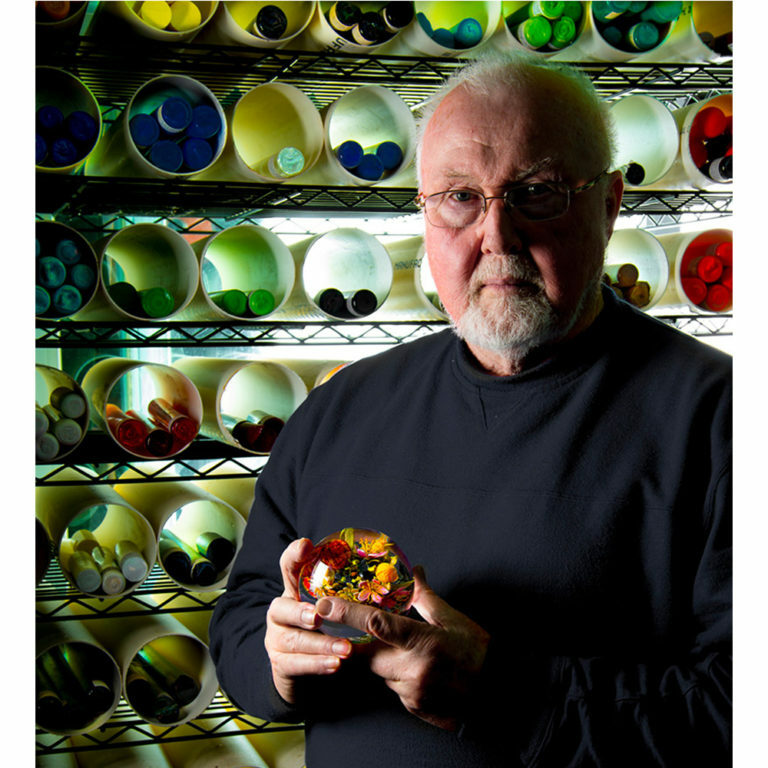 Paul Stankard is recognized internationally for his reinvention of the traditional glass paperweight. 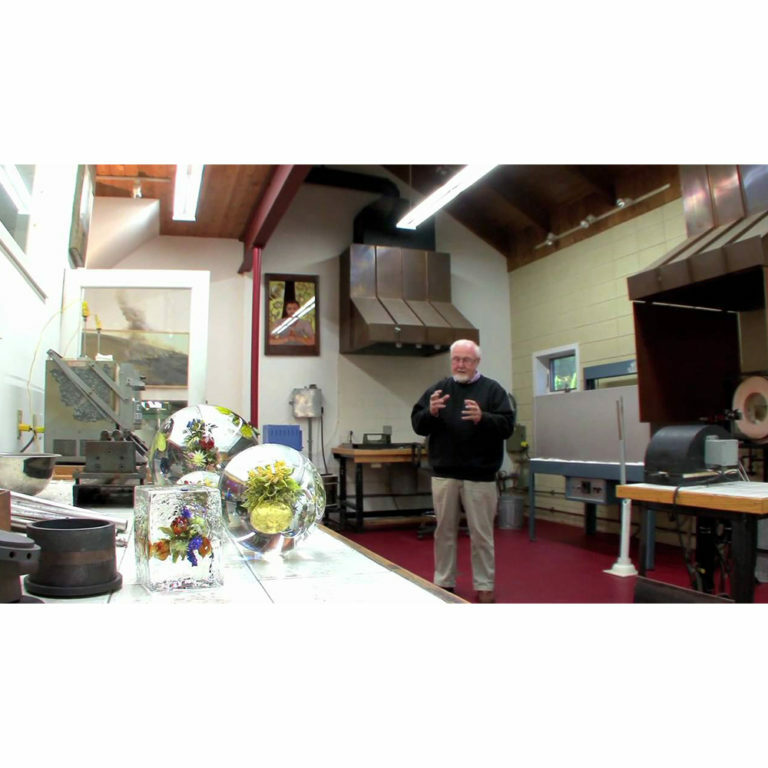 A highly skilled scientific glassblower, Paul began to study his local flora in the 1960s and encased his detailed observations in glass with a flame worker’s torch. 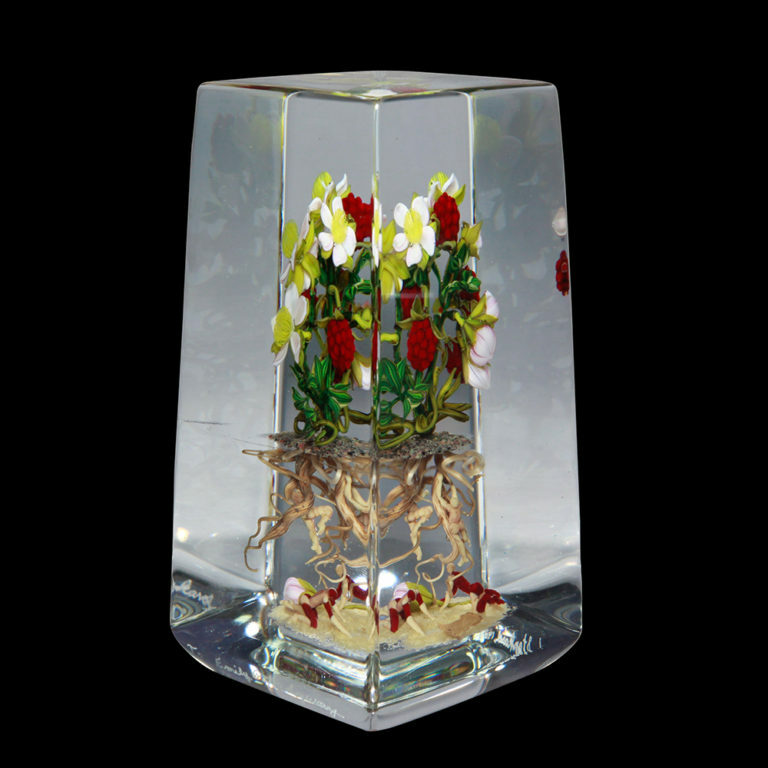 Nestling in clear glass globes and cubes are tiny glass petals, leaves, stems and moss, recreated so perfectly that they almost seem real. 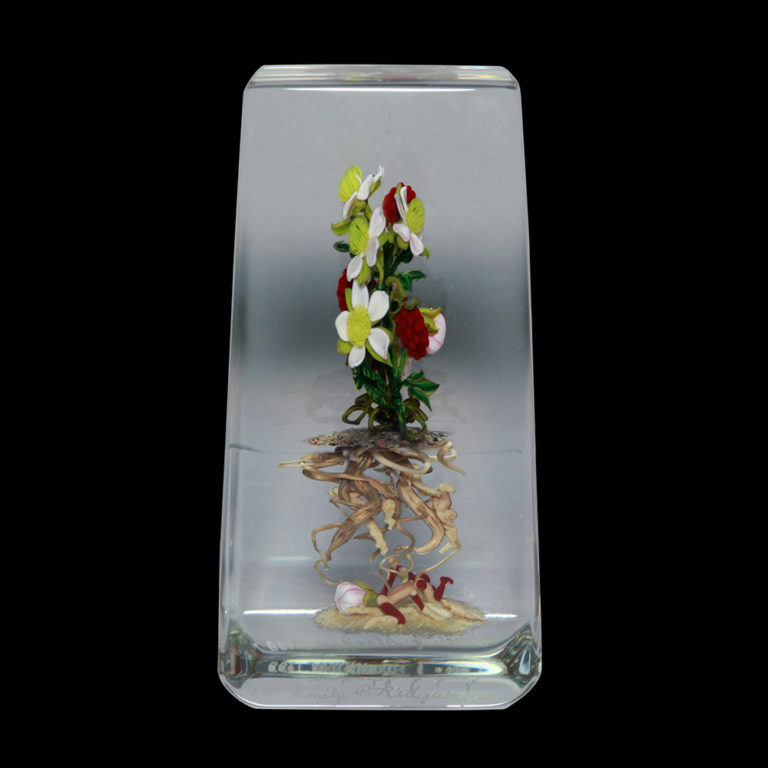 His miniature works of art integrate his interest in botanical realism with mysticism and the cycle of life. 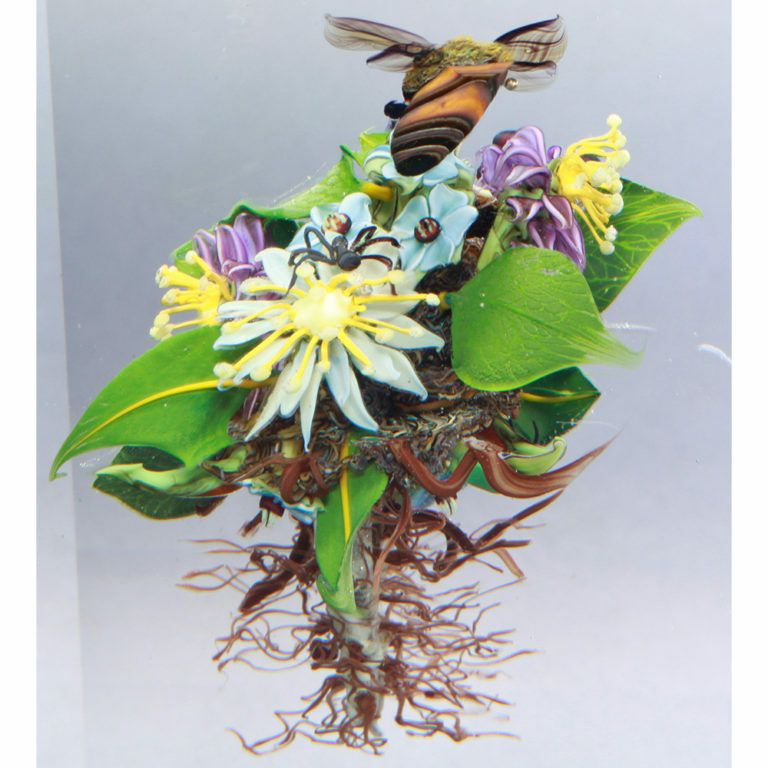 Insects often hover above his flowers and entwined in the roots are magical little people. He sometimes jokes that he gets up early to catch the root people and put them in the glass! 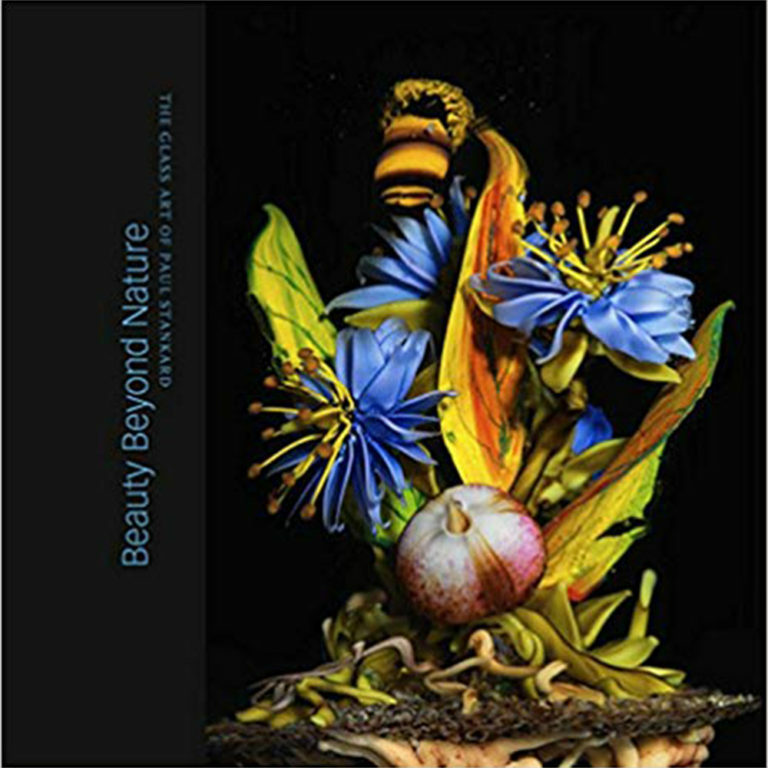 Stankard’s flame-worked sculptures are featured in a beautiful book Beauty Beyond Nature which spans more than 40 years of his career from his earliest attempts in 1969 to capture a daisy in glass. 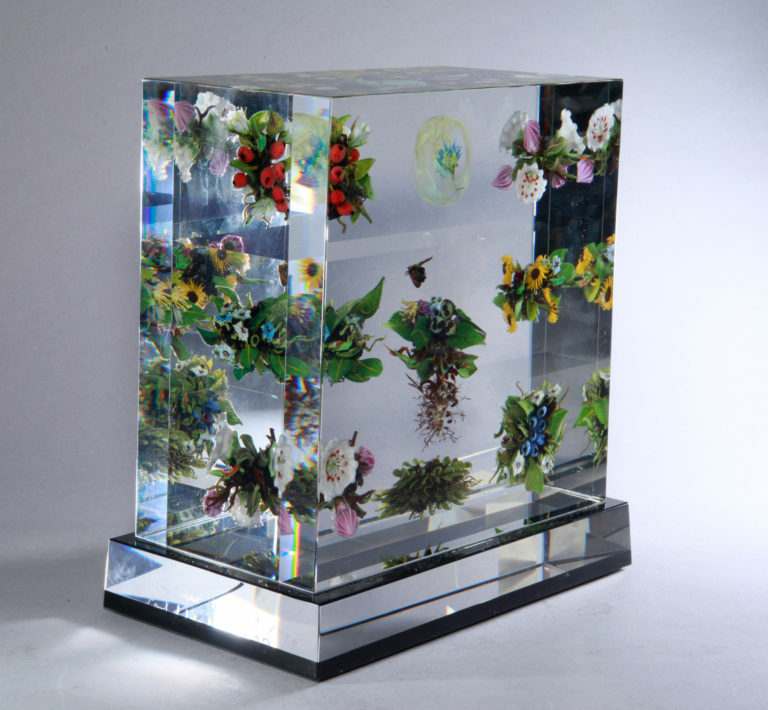 Initially he was inspired by the 19th century French botanical paperweight designs of Baccarat and Clichy. 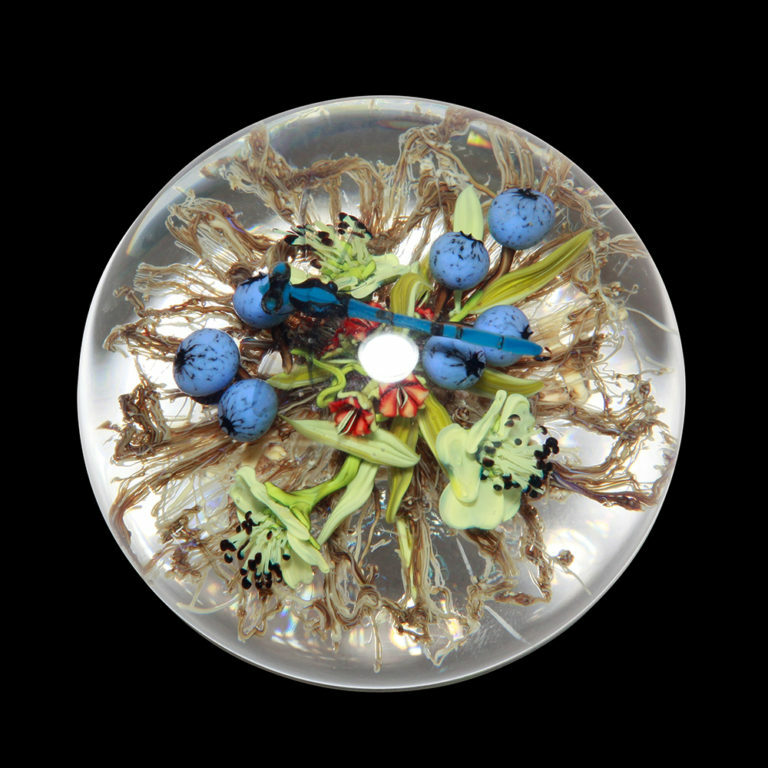 In 2010, Stankard began creating much larger orbs like crystal balls symbolizing his spiritual love of nature, including one encasing a swarm of honeybees. 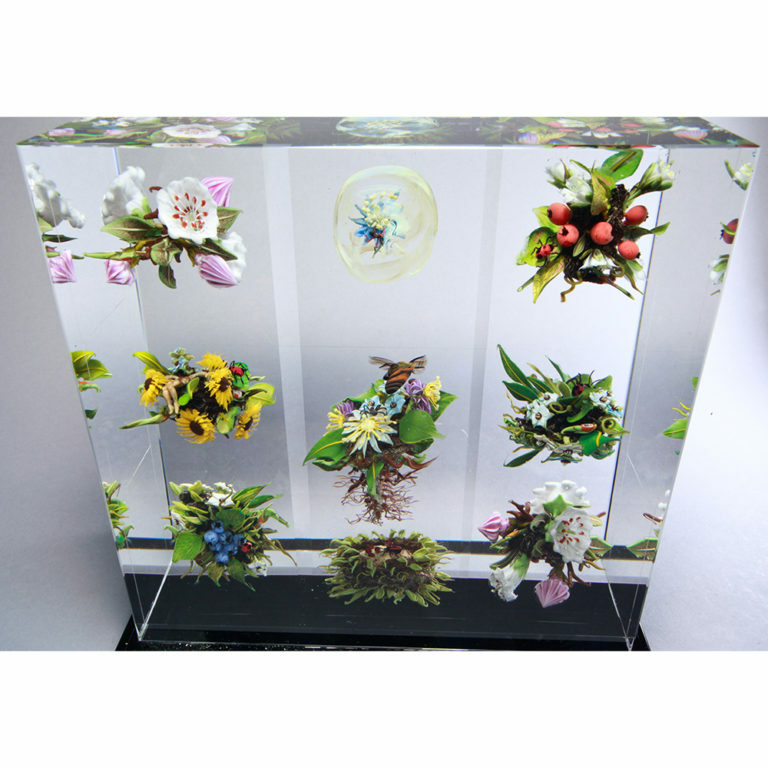 His Botanicals series includes much larger glass sculptures, often with a perpendicular orientation to provide a multitude of viewing angles. 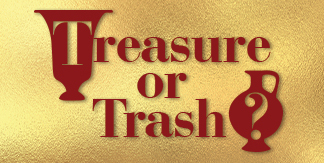 View the fascinating documentary about Paul Stankard’s career below.